Today I’m kicking off a new blog feature. Let’s call it “Mid-Week Meanderings”. I’ll try to post an installment once a week, usually on Thursday, but I may miss a week now and then due to writing or family demands. Sometimes I’ll tell you tales about my feline children. Other times, I might share favorite recipes. Often, I’ll share family stories and bits of my life experiences. To begin, let me tell you a secret: I’m a two-finger typist. An author who hunts and pecks, that’s me. I learned the traditional way of typing in high school. The fastest I ever got was about fifty words a minute. Not great but okay since I didn’t plan to be a professional typist. In those day I had my heart set on becoming a fashion illustrator, a goal I attained after four years of art school, a career I was forced to abandon as my hands grew too weak to hold a pen or brush steady. You see, I have a disability inherited from my father. 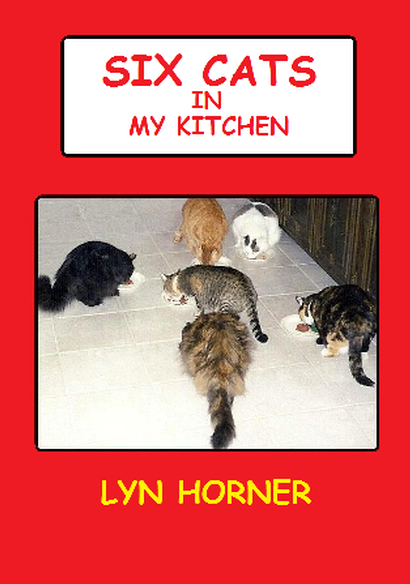 If you’v e read my memoir Six Cats In My kitchen, you already know about it. If not, let me fill you in. My family curse is called Charcot-Marie-Tooth disease — CMT for short. No, it has nothing to do with teeth! It’s a neuromuscular disorder named after three doctors who first diagnosed it in the late 19th century. 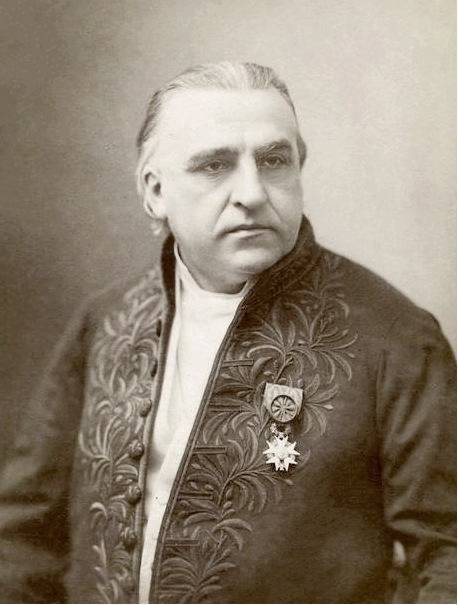 Dr. Jean-Martin Charcot was a French neurologist. He is known as the founder of modern neurology. Pierre Marie was his resident. They announced their findings along with a Brit named Howard Henry Tooth. 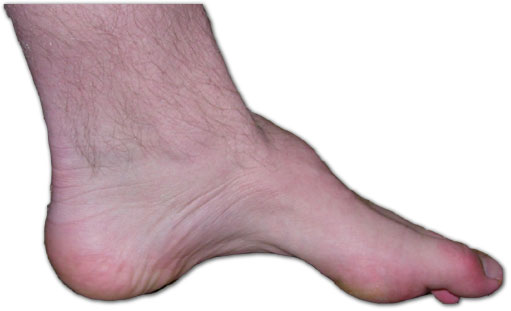 CMT is also called peroneal muscular atrophy. It affects more than two million people worldwide. CMT foot — No it’s not mine! CMT can also affect the lower arms and hands, causing muscle atrophy. The arms become thin, thumbs lose strength and fingers eventually develop a clawed position. By that, I mean it becomes impossible to straighten them, explaining the title of this post. For many years now I’ve only been able to type with my two forefingers – hunting and pecking. Surprisingly, I can type over thirty words a minute when simply copying a paragraph or two, fast enough to pass a typing test a decade ago when I toyed with the idea of working in a local branch library. I actually interviewed for a job there, but after learning I’d need to be on my feet all day I realized it wasn’t possible. Nowadays I type on a laptop computer, slowly pounding out my latest book. Not to worry, though. Speed isn’t important. I’d write slowly even if I could type 120 words a minute. My stories don’t come pouring out like a river on a downhill grade. They trickle out one drip at a time. That’s not ideal in today’s speed-of-light indie publishing business, but what can I say? I’m a perfectionist, always have been. I fuss over every word, every sentence, every paragraph. Thus, my “handicap” isn’t really a problem. Some people have poor eyesight, some poor hearing or other health issues, but humans are amazing creatures. Most of us make the best of our God-given abilities and find ways around our disabilities, whatever they may be. How about you? Do you have a quirk of nature that affects your job, your family or activities? I hadn’t heard of CMT before – you’re a hero and an inspiration in real life, finding ways to carry on and make the best of it! I’m just one of many people who enjoy your writing. Thank you, Chad. LOL! My husband might disagree. He’s the one I dump all my frustrations on when the hands and feet won’t do what I want them to. I admire your courage and determination. That’s what needed in the face of such a disease. That’s kind of you, Carole. For me it’s just another of life’s challenges, one I live with but refuse to hold me a prisoner. Writing allows me to escape and travel the world in my imagination. Isn’t that what all writers do? Guess I’m not so different. I have the kind of short term memory that would embarrass a goldfish. If I take too much of myself off to K’Barth the Real World suffers, I forget things, lose things and drive those around me insane with my flakeyness. I also have arthritic knees – that doesn’t stop me writing but it does cause me a lot of pain and stop me from doing plenty of other things I’d like to do. So yeh, I can sympathise with anyone who has a disability that makes writing uncomfortable or different. Sometimes though, I think we humans are so perverse that we need to fight to achieve stuff. If it was easy for me to find time to write, I probably wouldn’t do it as much, I’d draw instead because I make more money and when I’m not putting all that side of my creativity into bringing up a kid I can draw like ringing a bell. I reckon we’re all just bloody minded! And Lyn I hope you continue to be bloody minded, hunting and pecking your books out for years to come… have you tried any speak and type things? they’re supposed to be improving. MT, my memory is like a sieve. I think we just have too many things on our minds to remember everything the way we should. I does cause problems. I’ll quit writing when they cart me away in a box. It’s what makes life fun. You have your hands full bringing up McMini right now. Give it time; this will change. Being an old Crit partner of Lyn’s, I can tell you she doesn’t let much slow her down. She gets disgusted once in a while as we all do most of the time she’s on fire! Hi, Lyn–you know I have rheumatoid arthritis since 1980. I’ve had good years, I’ve had bad. My feet have literally been reconstructed so I could walk. They’re not perfect–I can only wear tie shoes–and the left is an entire size shorter than the right. My hands–not pretty, with the typical RA “swan” effect. Yes, I, too, had to relearn to type. I can type very fast when writing, probably much more than 3o w a minute. But even so, just so I can type, I’m fine. “But it’s not cancer.” I don’t know what else to say. Celia, yes I did know you have RA. I can only imagine how painful it is sometimes. I didn’t know you’d had surgeries for it. I had several operations on my feet as a teenager and adult. They helped for a while, but I now wear AFOs — ankle-foot orthotics — hard plastic braces that fit down in my shoes and strap around my legs just below the knee. They allow me to get around but I need to be very careful because my knees have also grown weak over time. Wow, that’s a tough hereditary problem but sounds like you’ve come to terms with and been empowered by your response. I had problems with asthma as a kid which can be difficult although they take it more seriously now than they did back then. It led to some scary episodes, but I seem to have outgrown it. Like most who have ever had asthma, I always keep an inhaler nearby which got tougher with environmental regs blocking the medium that was used to take the med into our lungs. Like that made a huge CO2 difference but not a lot you can do to argue with fundamentalists on anything and environmental types can be that. Rain, asthma is no fun. I’ve had episode too, but it’s pretty well under control now. Like you, I keep an inhaler handy a tall times. So true, there’s no arguing with fanatics of any kind. It’s either their way or the highway. Lyn, I agree that each of us has some disability, thought most don’t show. I’m glad you have mastered yours enough to write your novels. Keep them coming! Thank you, Caroline. I appreciate your encouragement. 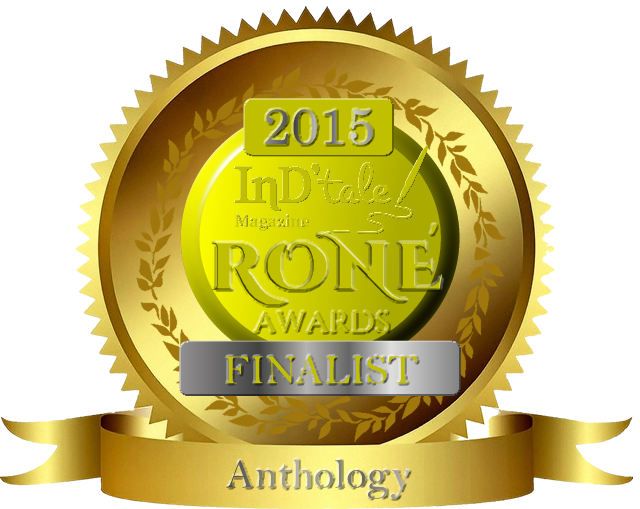 Keep your wonderful novels coming too!